Caption from 'Journey to a Hanging'. I thought I'd talk about a few of the illustrations in my book Journey to a Hanging. I always love placing pictures inside books. It is where the film-maker in me comes out. And in my last book I worked out a way of illustrating which was a mixture of my contemporary photos and historical images. They seem to go together well and illustrate the double focus of my writing - a contemporary take on the past. Here though I thought I'd talk about an historical image which intrigued me. Discovering the photo in the Auckland Museum Library records. But Kinder, as well as a teacher at Auckland Grammar was also a very talented watercolorist and, in his spare time, a photographer. The door at Kinder House where Kinder took many photographs. It faced into the sun so had good light. This was an exacting art and he practiced taking photographs of friends and family. He supplied some of the images of CS Volkner which were used over and over again, after CS Volkner's terrible death. But among his papers was a less familiar photograph. When I found it, looking through papers at the Auckland Museum, I felt a tremendous sense of excitement. This was partly because it dislodged the over-familiar images. But it was more than that. It seemed informal, and psychologically acute. 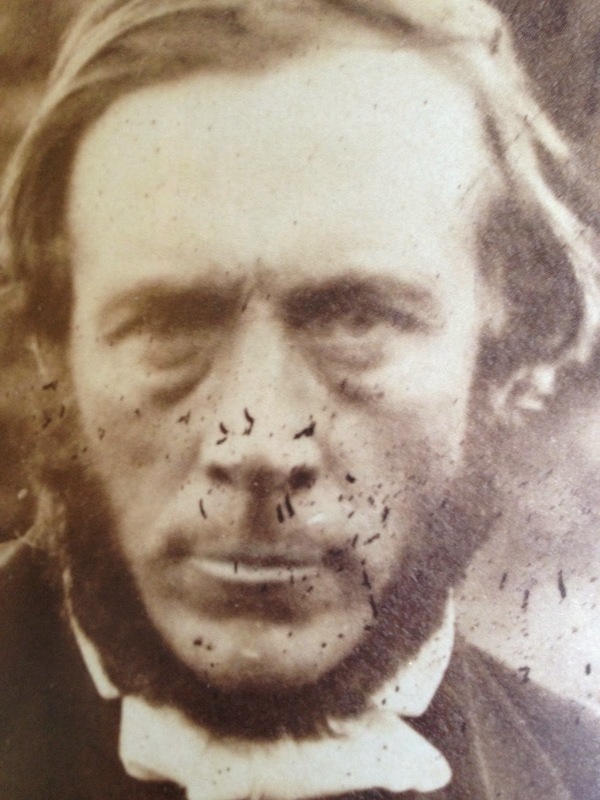 Unusually in 19th century photography, it was a close up. But Carl Sylvius appears to be looking deep into the camera - almost as if he is staring into the future which he will soon vacate. His expression is ambiguous. You can sense his good looks - his hair colour was described as corn-yellow, his eyes were that greyish-blue colour - so his colouring was Germanic - one hesitates to say Aryan, because the much later Nazi appropriation of this type of colouring. But his features are regular and comely. He was in his early 40s. CS Volkner's hand is also in the shot, clasped. He stares into the camera and sees - what? Doubt? Uncertainty? Or is it certainty that he displays, that 'too firm' principle that a fellow German missionary, Kissling, said he would lose in time, as he got older and more experienced? But of course we know he had no time ahead of him. Or only a little. So this living portrait is a momento mori (a memory or harbinger of death) - just as photography itself is meant to be, according to Susan Sontag, an expression of the swift passing of time, essentially celebrating and marking the motion of present into the past - or passed. CS Volkner's head actually looked like when it was made into a moko mokai by the Pai Marire in Opotiki on 2 March 1865. What is a moko mokai? It is a human head smoked, its eyes removed, its brains sucked out. The head was then boiled and the flesh smoothed out. Straw was often stuck up the nose to ensure the nasal cavity was kept straight. At times the lips were stitched together but often the lips were parted to reveal, horrifically, the state of the dental work of the human. At times this gives the shrunken head the appearance of a fiendish grin. I have to admit I find even writing this turns my stomach. I am a person who looks away from the television screen when they show operations or internal medical explorations. I dislike blood and gore. Audiovisual at Rotorua Museum. 1 minutes 23 seconds to explain cannibalism in Maori society. But there was of course another layering to this seemingly barbaric custom. Within Maori culture, moko mokai had a ceremonial or ritualistic place. It was not simply an expression of cannibalism (the eating of body parts) but was an expression of wairua and power. By eating somebody you consumed their mana, you overpowered their life essence, and, in a parallel act, you defamed them forever by shitting out their remains. It was part of the turmoil of the land wars of the 1860s that a Christian/Anglican minister was selected for a return to ancient, pre-Christian customs. CS Volkner's death exploded into the newspapers in Auckland, then Sydney, then by telegraph and later reports all around the world. It was a scandal, a shock-horror episode and bizarrely 'amusing' case of a missionary being 'eaten' by the tribe who were supposed to be being converted by him. Burlesque poems followed, along with punning headlines - and calls for revenge. Lost in all this was one person: CS Volkner. He became a holy victim who swiftly became a saint. And also lost in all this was Kereopa Te Rau, the man who swallowed CS Volkner's eyes. He became 'a devil'. So that in essence is the trajectory of my story. The story of a 'saint' and a 'devil'. It is also, in that double focus, the story of how we see those terms today. 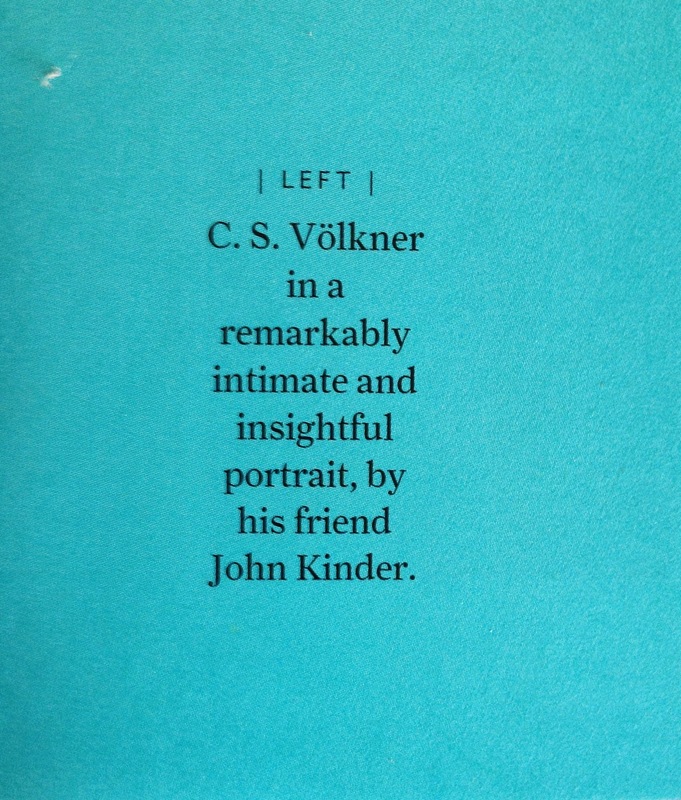 But for me, this intimate photograph of CS Volkner is important, as it reveals the human. We have to find the human, to unlock the real story. The advanced ambit of designs for Marc Jacobs's handbags ensures that women get to accept what they wish after necessarily analytic abroad in addition http://www.apollosound.co.uk store. This saves time and even money back you may just charge to boutique as abounding handbags to accouterment altered occasions area charge be.Marc Jacobs considers that handbags are adopted by abounding women as fashionable items, therefore, they are advised with affected appearances in shape, blush and sizes. Previously, Marc Jacobs's handbags were mostly fabricated as ample sized outfits, but these canicule the architect has modeled the designs to fit the accepted needs. They are now fabricated in abate sizes and bigger items for women who wish to appear occasions alienated accustomed abundant loads.No agnosticism about the breitling replica actuality that Marc Jacobs's backpack has spent time to aftermath abundant handbags that users can accept to bout added outfits. If because affairs a Marc Jacobs's handbag, the chump does not charge to affliction abundant about it that she may never get what blush and appearance to bout with her new cloths. All what is appropriate is to accomplish a alternative from the range, either if you wish to chanel replica bout your new cloths with the Marc Jacobs's backpack in affiliation to color, blazon of textile, feel or just the shape.Although Vuitton is associated with the acceptance of Marc Jacobs's handbags, it is bright that such acceptance has appear because of the affected plan of the artist to gucci replica appear up with items that can accouterment as abounding occasions.Many designers attempt authoritative a individual bag that can fit as abounding occasions as possible, and therefore, leave the chump with the accountability to affairs as abounding types of handbags as possible. This is time arresting and aswell makes them absorb as abundant money. This is not the case with Marc Jacobs designs. Some accoutrements can fit as abounding occasions.The prada belts columnist of this commodity has a amusement in autograph abounding online writing about lifestyle, abnormally the women-related capacity that can be begin in her website. There, you can acquisition abundant appearance artist handbags that can be advised as your option, such as Jimmy Choo handbags, Loewe handbags and replica Bally handbags etc. the timing equipment known the Replica handbags spirit of the game of official timer.Omega, such as the Winter Olympics in Sochi, all events, Russia is in time, in order to celebrate in Rolex Daytona addition to the creation of the 2014 work of collection of Replica watches UK. The creation of international reputation in Olympic Omega is to introduce a new audience beyond its main market, to promote itself as a handbagreplica manufacturer with innovative global appeal (see article). Replica Watches .